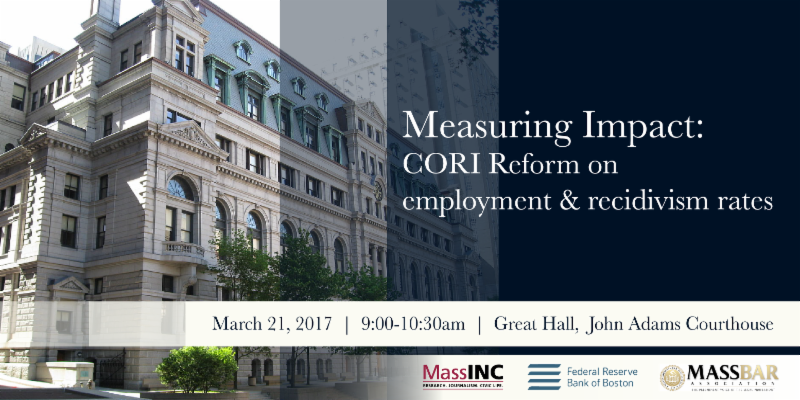 Please join MassINC, the Boston Fed’s New England Public Policy Center, and the Massachusetts Bar Association for a breakfast forum and discussion about the impact of Massachusetts’ CORI Reform on employment and recidivism rates. Policymakers have proposed and enacted policies that seek to limit the negative consequences that a criminal record imposes on ex-offenders, their families, and society at large. 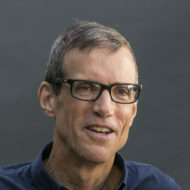 Between 2010 and 2012, CORI reform in Massachusetts significantly changed how employers access criminal records, with a goal of improving employment for these individuals and reducing recidivism. The Federal Reserve Bank of Boston’s New England Public Policy Center will present new research that explores the effect of Massachusetts CORI reform on ex -offenders’ employment and recidivism rates. This breakfast, which is free and open to all, will provide a forum for policy leaders, practitioners, and advocates to learn about and reflect on the role of CORI reform in promoting the successful reintegration of ex-offenders.